We’re excited to introduce ScootHub™, our new and more simple integration feature that allows you to seamlessly launch your ScootPad account from your existing LMS/SIS system. ScootHub™ comes ready-made with integration for Google, Schoology, Engrade, and Canvas! ScootHub™ lets you simply launch ScootPad as an app from your favorite LMS/SIS provider so you don’t have to remember yet another user id and password. To get started, find the ScootPad app from within your LMS’s app store and add it to your account/course! Follow these step-by-step instructions. Don’t use one of these providers as your LMS? No Problem! 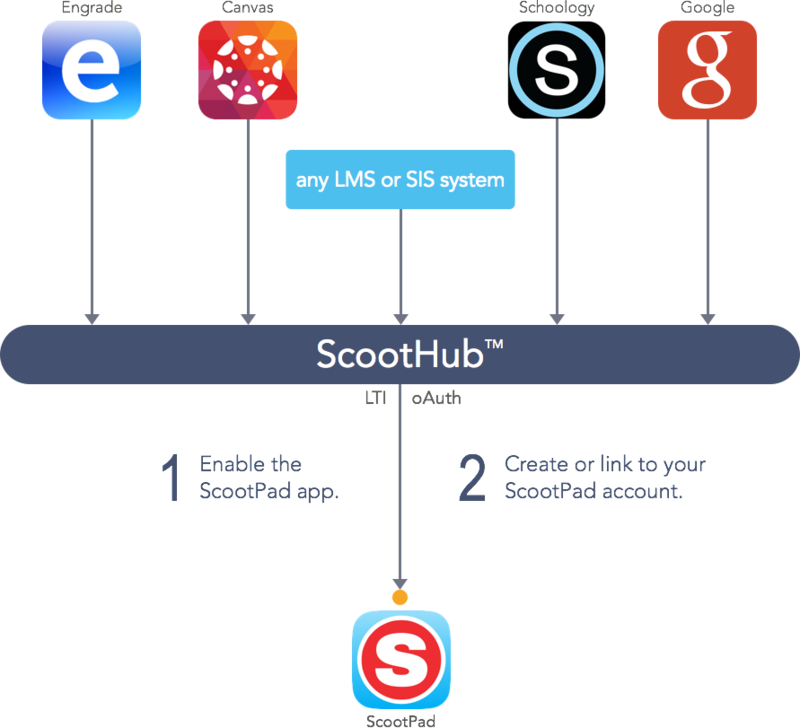 You can still add ScootPad as an external app to any LTI-compatible LMS/SIS system. To integrate with any another LMS/SIS system, follow these steps. For more information on ScootHub™, click here. We’re committed to making it easy to launch ScootPad so that you get more time to learn. If you have any questions, feel free to reach out to us via Live Chat, email support@scootpad.com, or give us a call at 1-800-994-0706. PARCC simulation assessments now available!